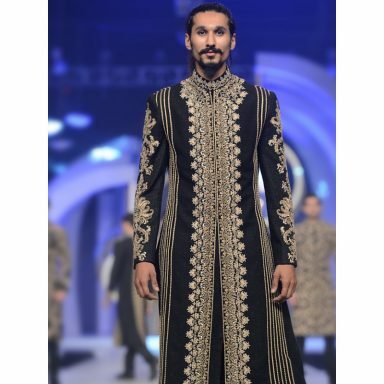 Whenever someone is going to mention names of Pakistani top renowned fashion designers, HSY (Hassan Shahryar Yassin) is always at the top of the list. HSY or so called ‘Sheru’ is the most talented person in our fashion industry, and considered as Pakistan’s most demanded designer wear. 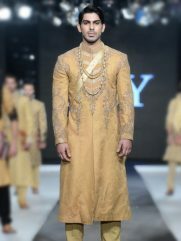 Not only in Pakistan but HSY collection are presented in different parts of the world like America, Canada, Turkey, India,U.A.E, etc. 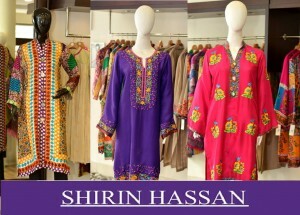 HSY is always promising towards the best unique designs and high-class fabrics; women love this designer wears. 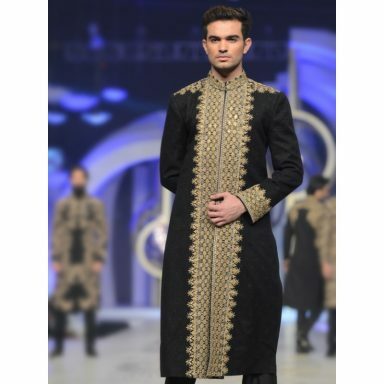 The collections are launched seasonally and formally for both men & women. 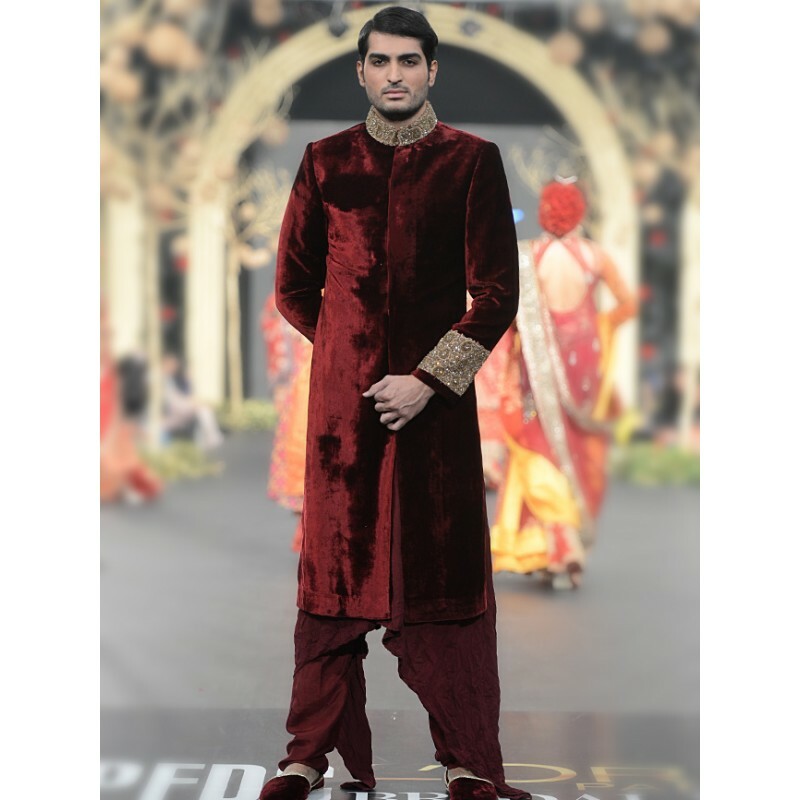 HSY bridal couture is also very famous as well as it serves for grooms too. 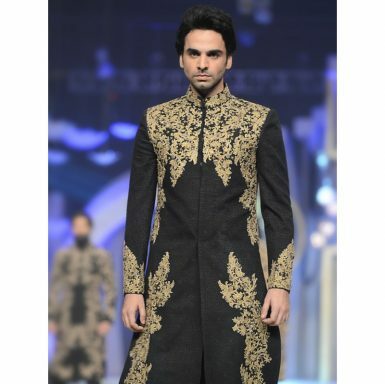 We are sharing the HSY Latest Men Wedding Sherwani Kurtas Collection. The designer has gained tremendous success in a very short span of time as at the beginning of his career and has a huge demand in the market by customers. 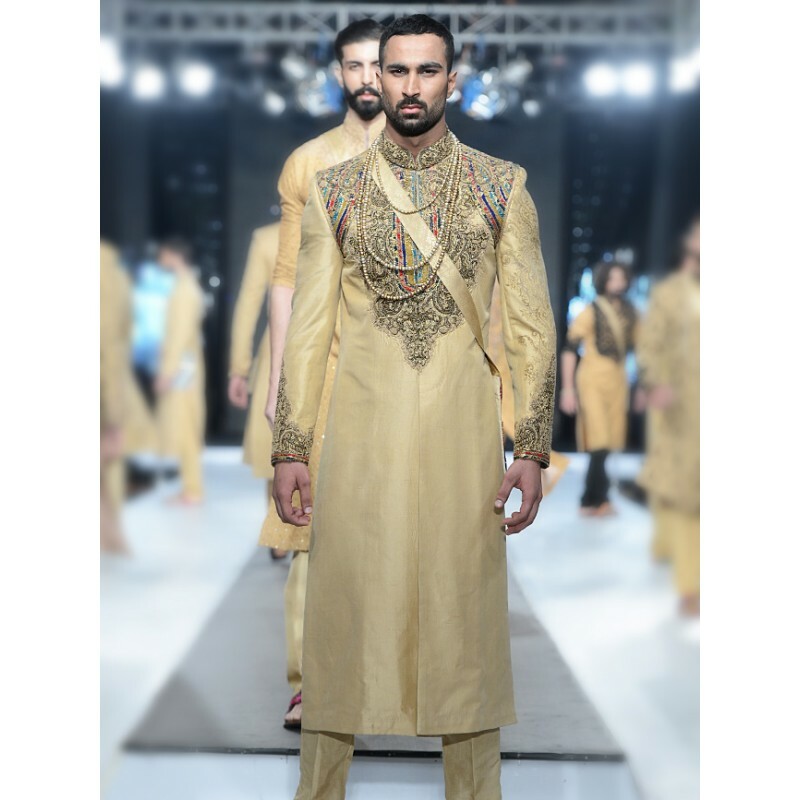 This designer started his career in the fashion field in the year of 2000 and started offering the clothing line for both men & women. 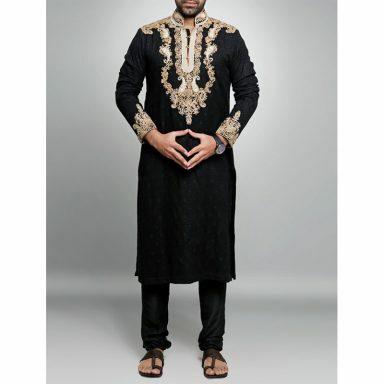 The reason his clothing line is always appreciated by fashion lovers is that it always shows the better installation of quality fabric and stylishness. 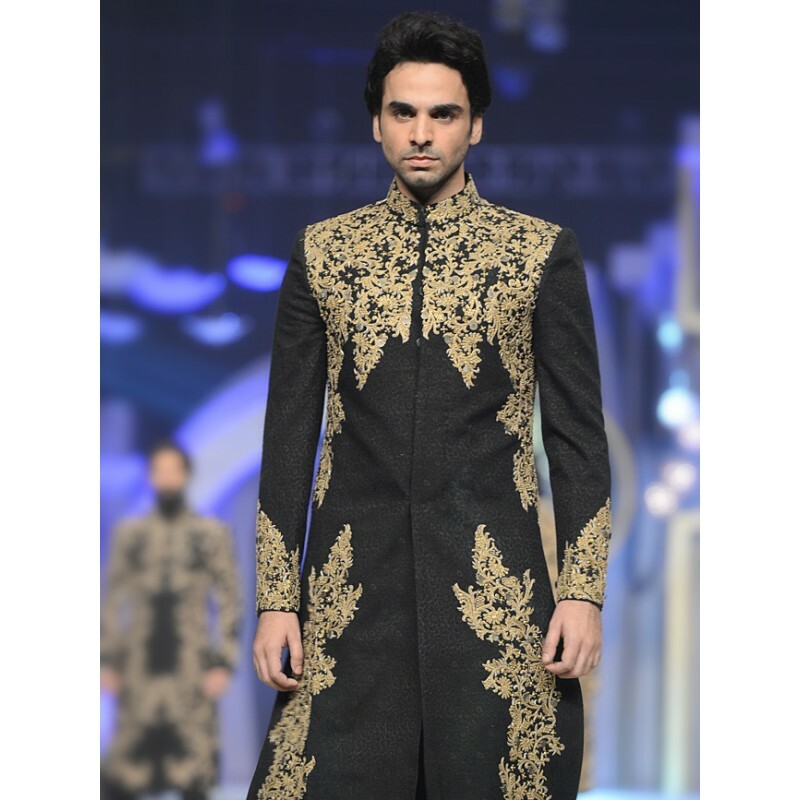 Today we have come up with another wonderful HSY Latest Men Wedding Sherwani Kurtas Collection for grooms. 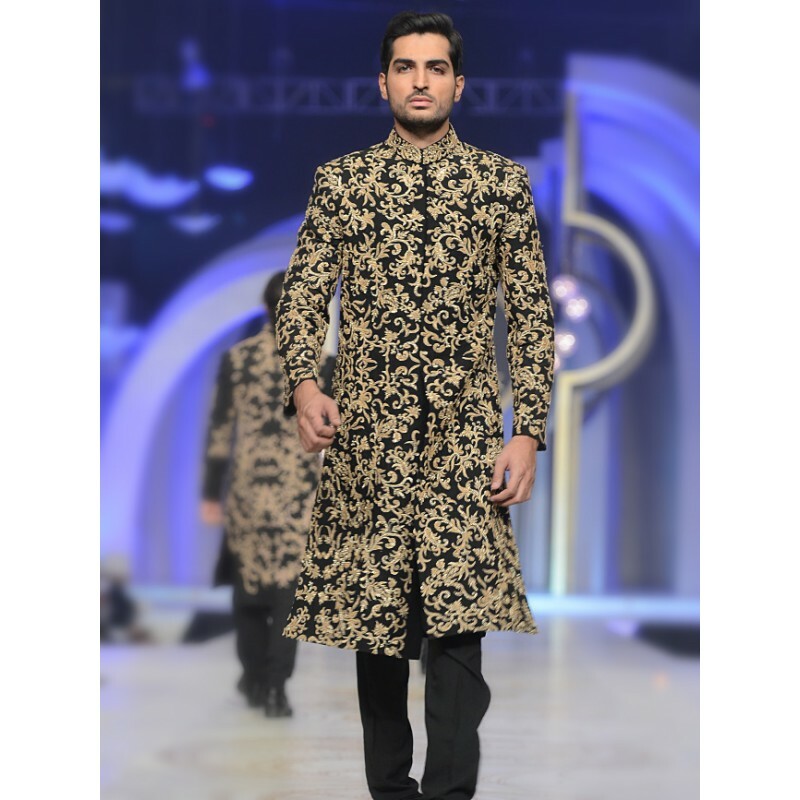 Besides the bridal collections, HSY also shares clothing line for men too. 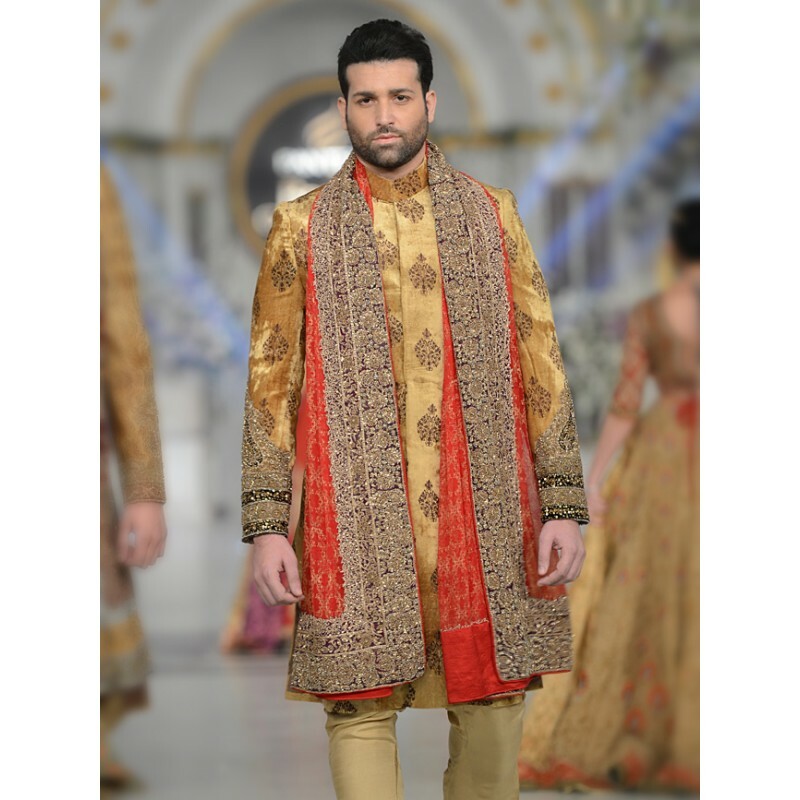 These wedding sherwanis are designed just according to latest trends and fashion coming across to be fine looking for men of all ages. In this collection of HSY has introduced many beautiful designs of men wedding and formal wear sherwanis. 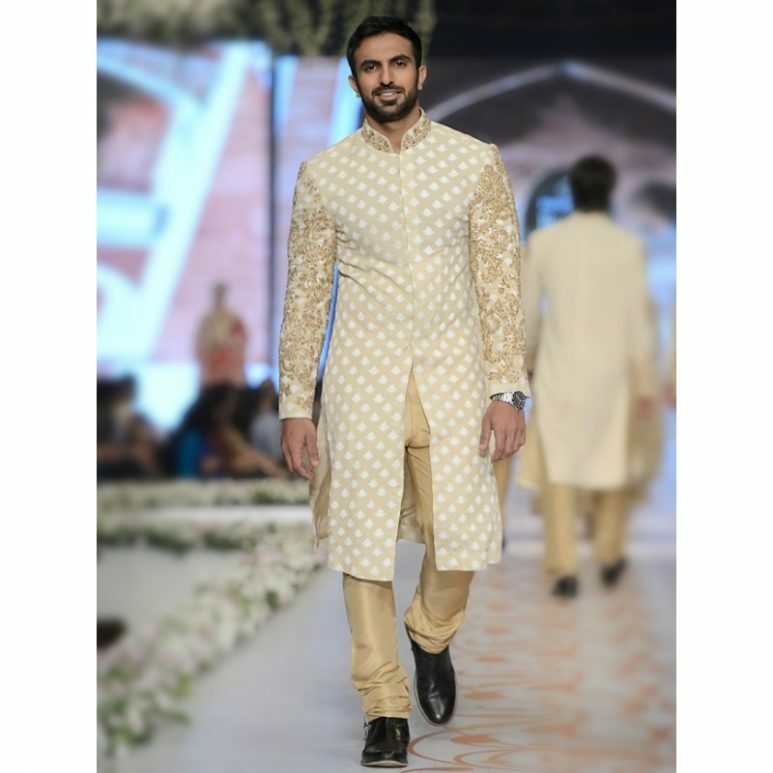 Sherwanis are paired with shalwar or tight form of trousers. The Sherwanis are decorated with marvellous embroidery versions that are finished over sleeves, necklines, cufflinks and borders. Some are added with stone versions as well. The prices in this collection are high, as of course, it is the brand of rich people; they buy them to show their class and level. As always, it has made the best use of dark and bright colours such as brown, white, golden, black, grey, cream, skin and many more. 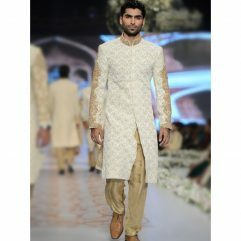 He usually also adds some hues of the groom dress that makes it more attractive and eye-catching for grooms. 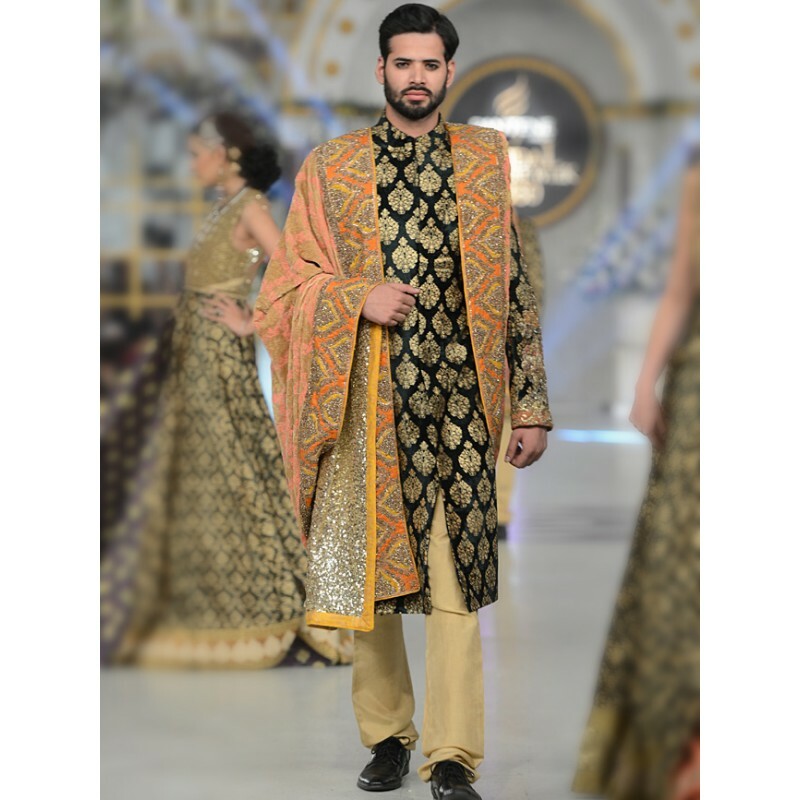 The sherwanis are well decorated with embroideries like tilla work, gotta, zabka, zari and glass work. 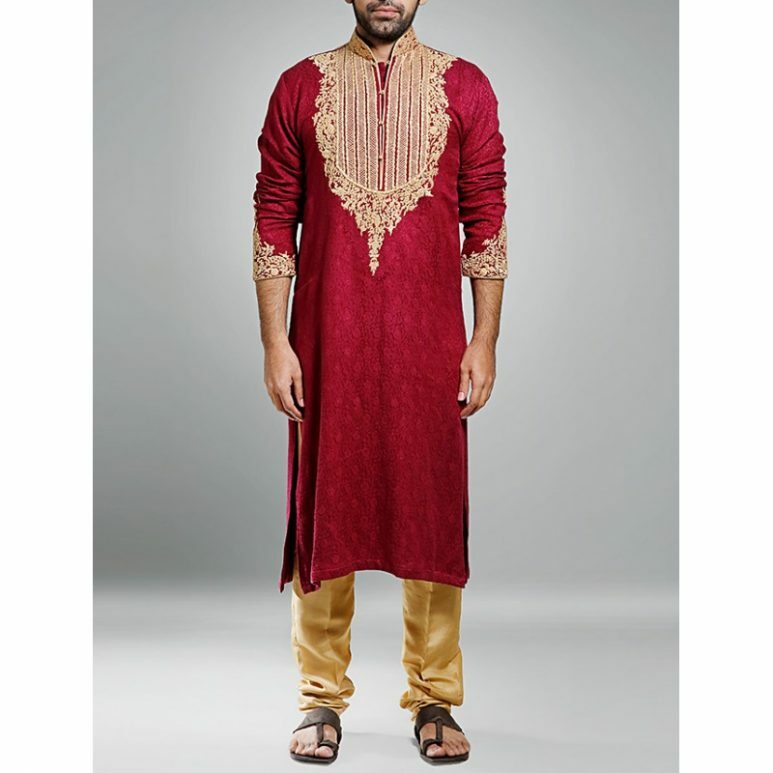 They are perfect for your formal functions, events, mehndi nights, eid festivals, devali, holi etc. 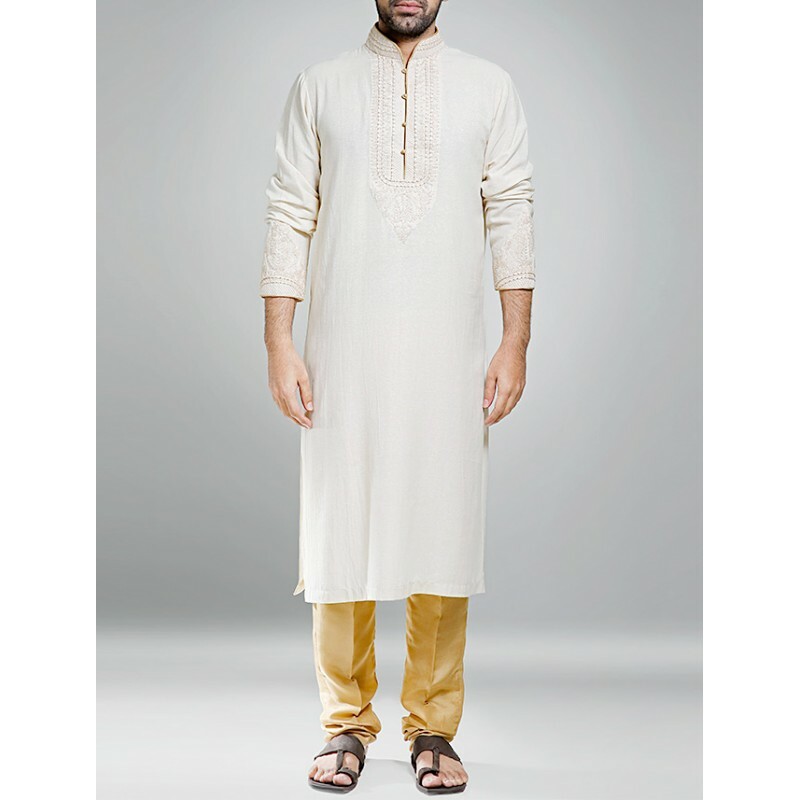 The assortment further contains fancy Kurtas for men having embroidered and decorated necklines. 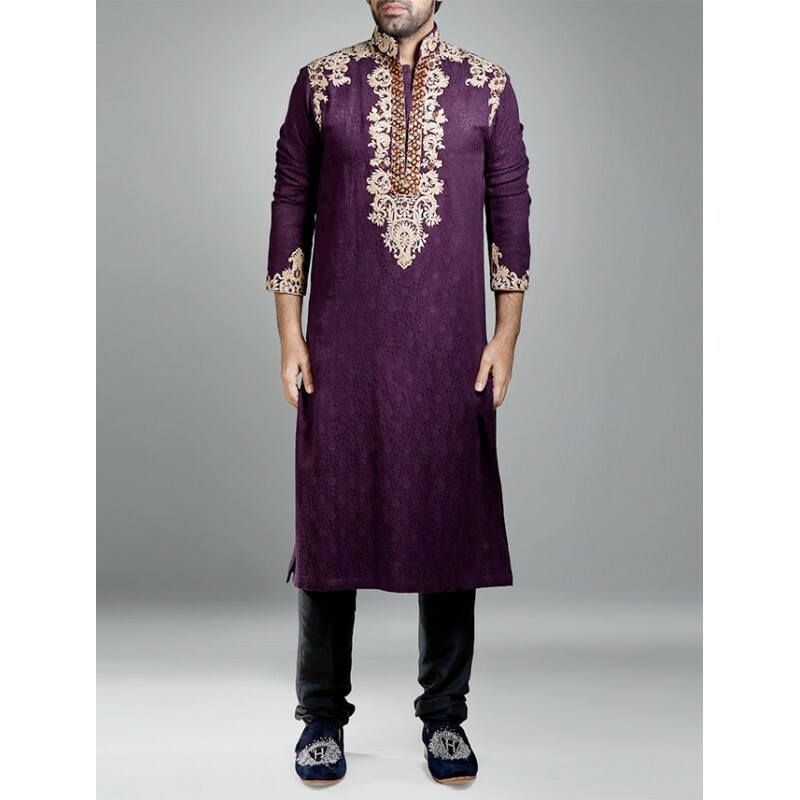 The Kurtas are so chic and trendy to wear for Mehandi functions. 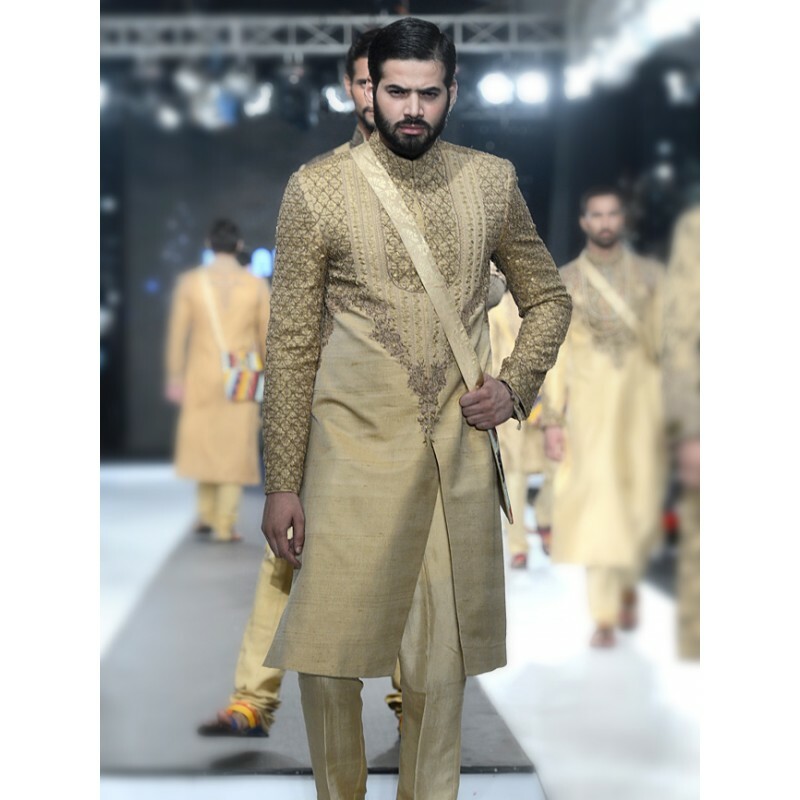 This collection is a complete package of Groom Wedding Dresses containing sherwanis & kurtas. 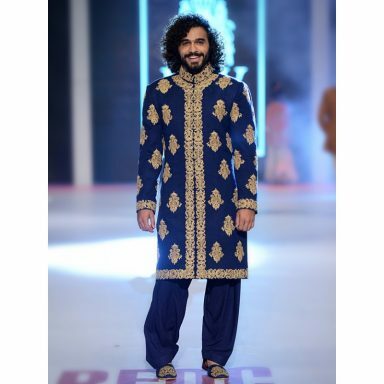 lets have a look on HSY Latest Men Wedding Sherwani Kurtas Collection. 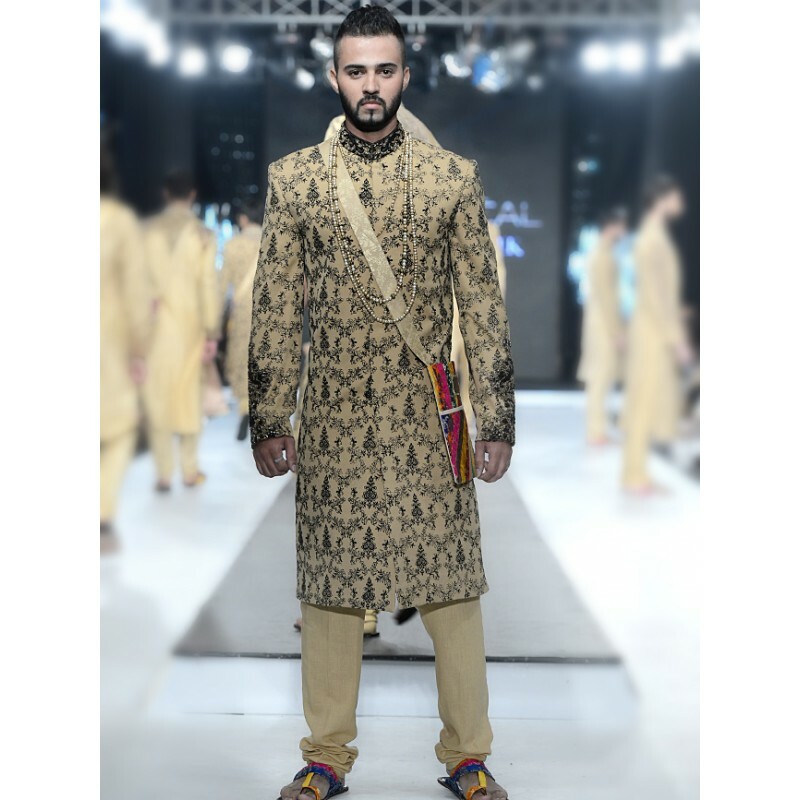 Moreover, apart from this collection, HSY has launched many collections for men in various fashion shows and has gained a huge response & is highly praised by fashion lovers. 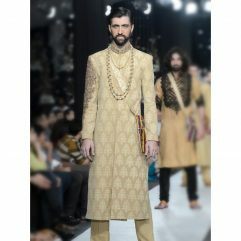 Here I am allocating some pictures of HSY latest men wedding sherwani collection so that grooms can grab the enough details about this dazzling collection of gents formal dresses. 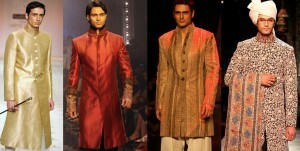 Have a look at the image gallery posted below and get inspired by the latest designs of the year!